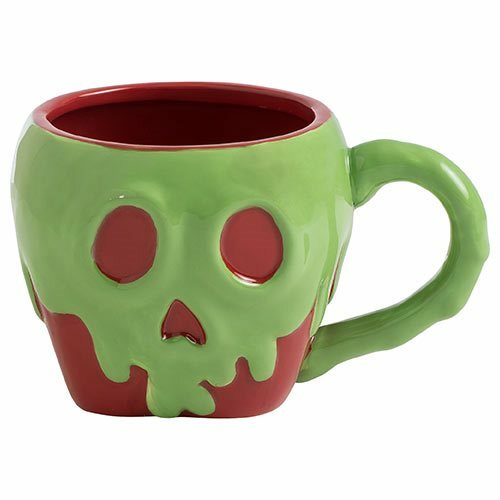 There's something ominous about this green-and-red Snow White Poison Apple Sculpted Ceramic Mug, even though it is custom sculpted and beautifully crafted. Measuring about 4 1/2-inches in diameter x 4-inches tall, it comes in a matching full-color gift box, ready to present to the unsuspecting princess of your choice. Hand wash only. Not dishwasher safe. Do not microwave.